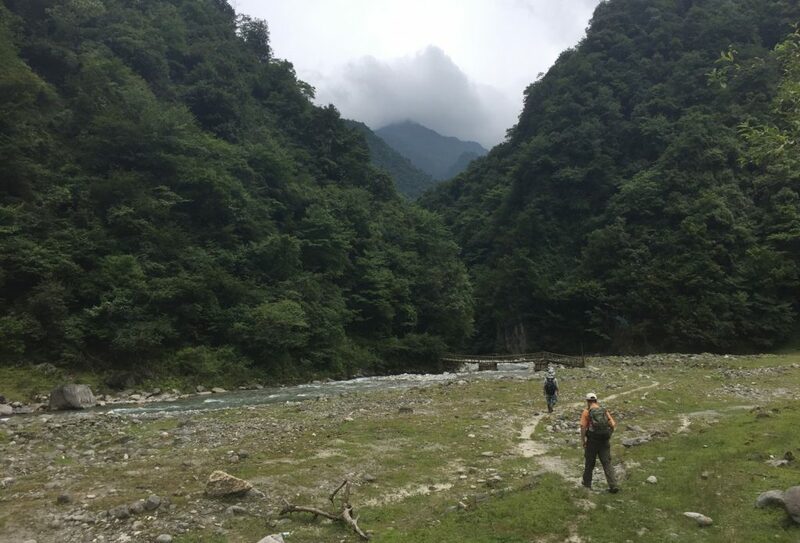 Cave-master Libing Zhang and Champion Chun-Xiang Li very graciously hosted me and princely Paulo Labiak for fieldwork in Sichuan before the Botanical Congress. 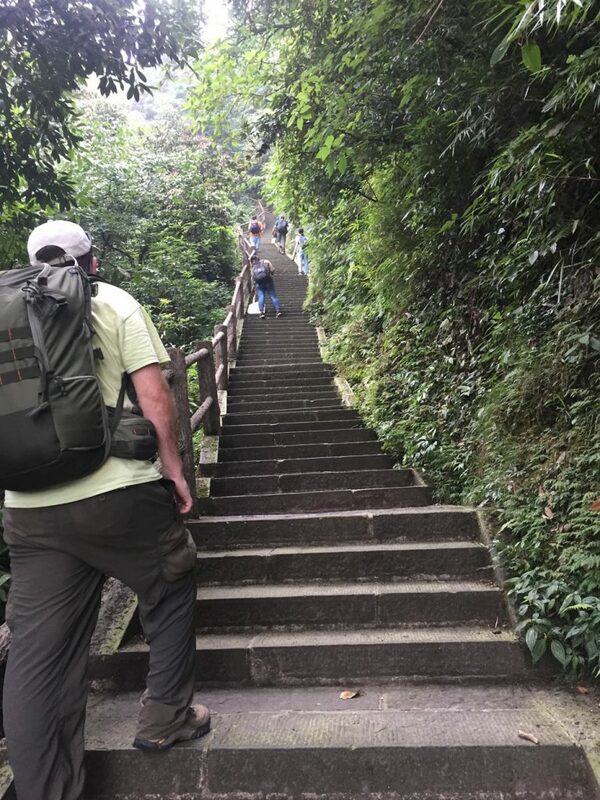 After a brief acclimatization in Chengdu, we hiked up Mt. Emei. 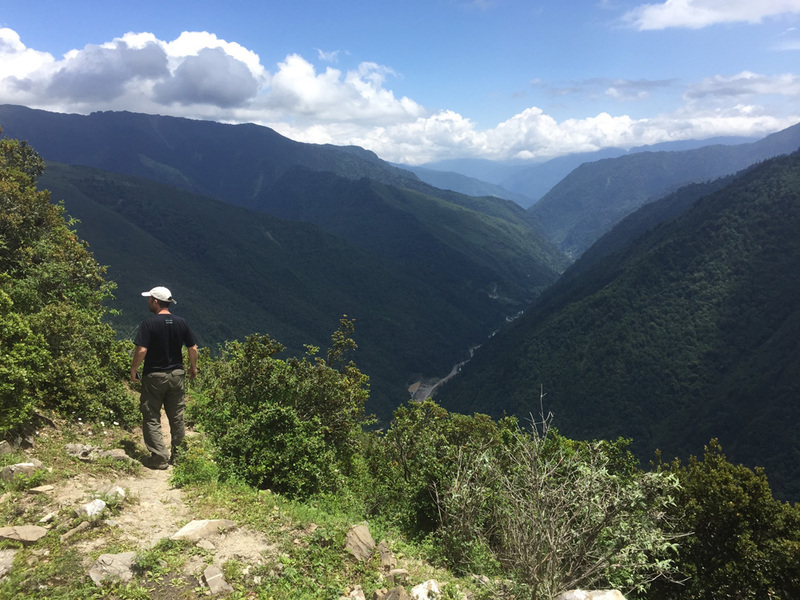 It was spectacular, if humbling–we climbed up stone steps almost continually from approximately 600m elevation to 3000m. 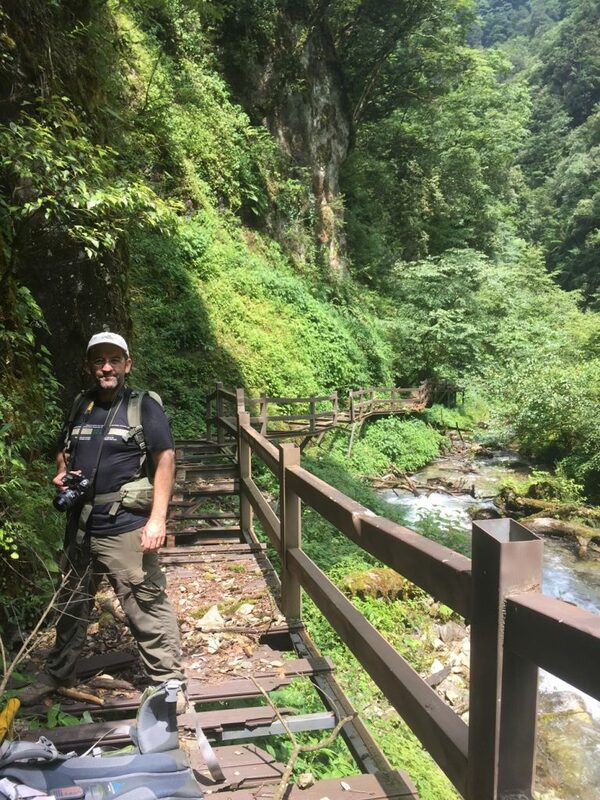 Libing played it cool, and lulled us into a sense of confidence, and then, wham, hit us with 2400 vertical meters of steps. 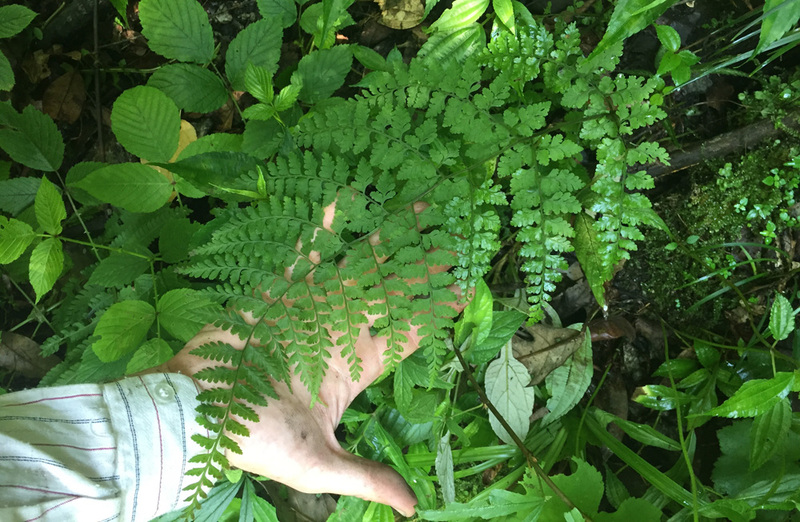 And so many ferns! 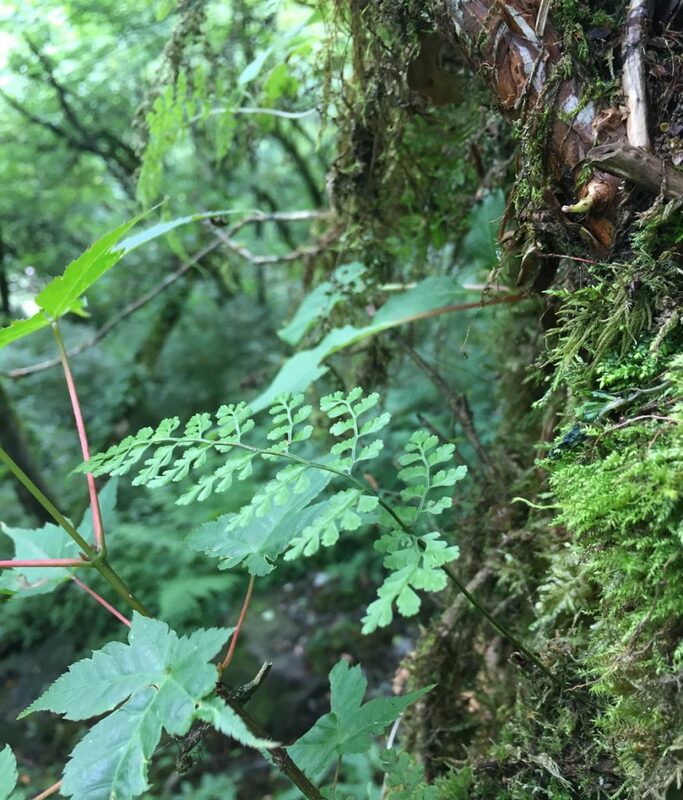 So many plants in general–it felt like the mountain had the flora of eastern North America x5 (loads of maples, Rubus, Polystichum, Cornus, Carya, etc., etc.) and then an additional flora of strange things I had never heard of before. Following Mt. 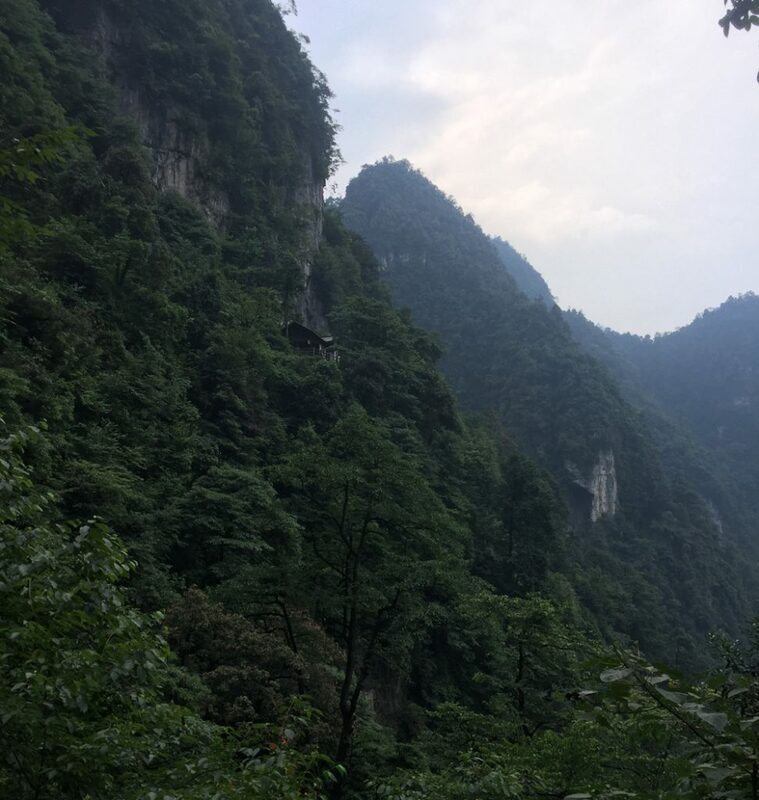 Emei, we spent four days around Baoxing (the former “Muping” of, e.g., Cystopteris moupinensis fame), which was also spectacular. A typical view from the Mt. 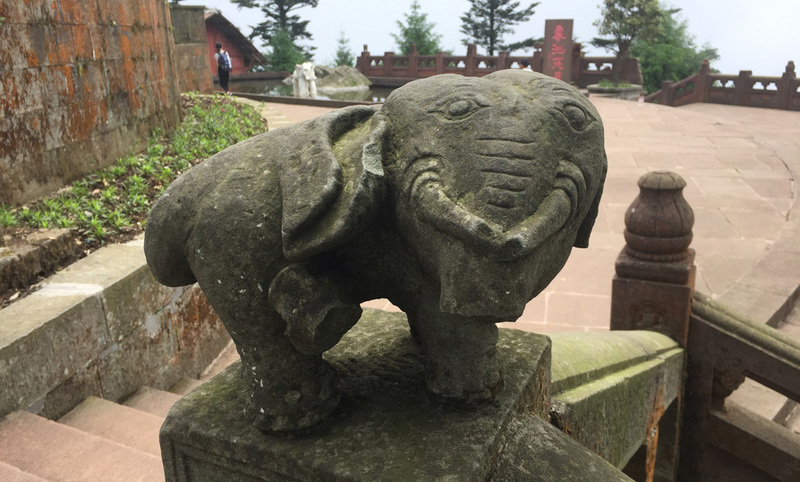 Emei trail. One can imagine how this area is hard to explore. How on earth did they manage to build all those temples and cart thousands of stone steps up the mountain? It boggles the mind. You can see a small temple in the middle of the photo. Paulo and The Infamous Steps. Well, a small sample of the infamous steps. Picture something like 40km of this. And each of these steps had to be carried up somehow??? 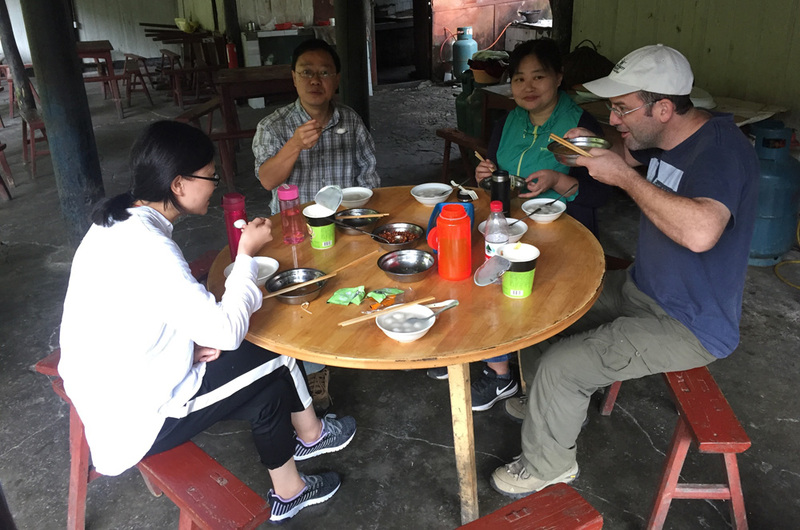 Food, always a highlight, and especially in Sichuan! There were a series of small restaurants along the trail, often associated with a temple. (Those little stuffed rice balls in soup were delicious). An unexpected friend — Mimulus! 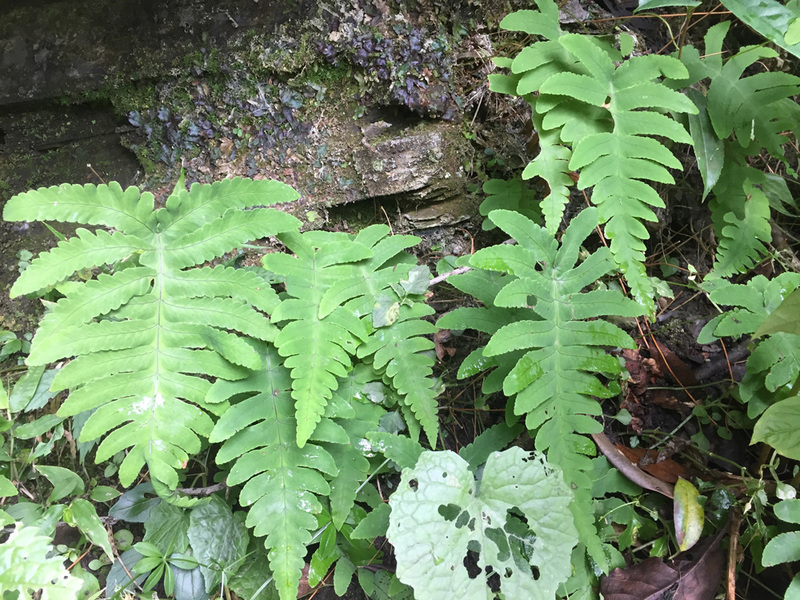 We saw two species along the hike (maybe M. szechuanensis and M. tenellus?). Lifer Cystopteridaceae! This is the stunning Gymnocarpium oyamense — so cool! Cystopteridaceae genus two of three — Acystopteris! This is probably A.japonica, but I need to investigate further. A brief non-botanical diversion: one of the cuter temple adornments. (Apparently the Buddha’s elephant [I didn’t realize that the Buddha had an elephant] bathed at the site of this temple). 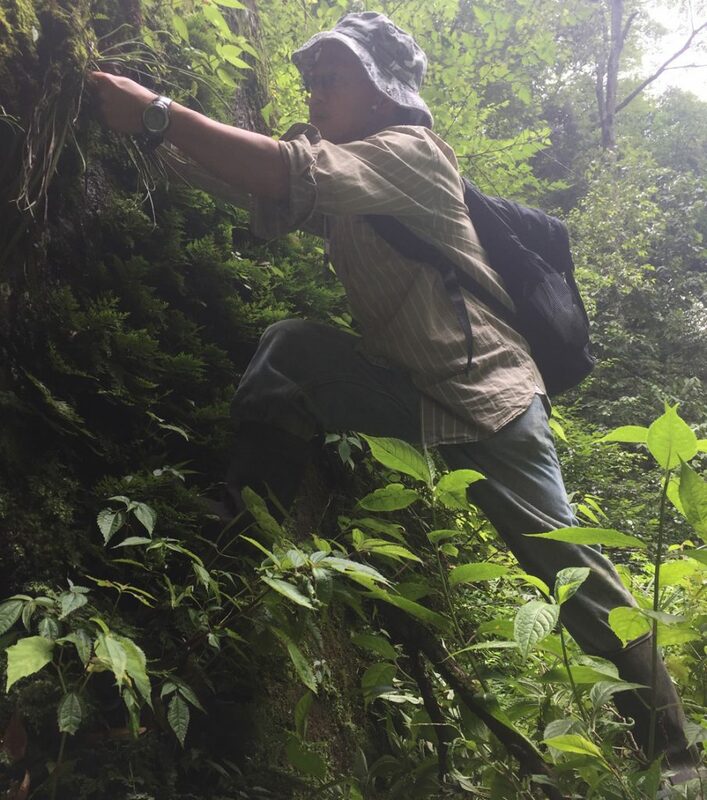 Rivaling G. oyamense for the botanical highlight of Mt. 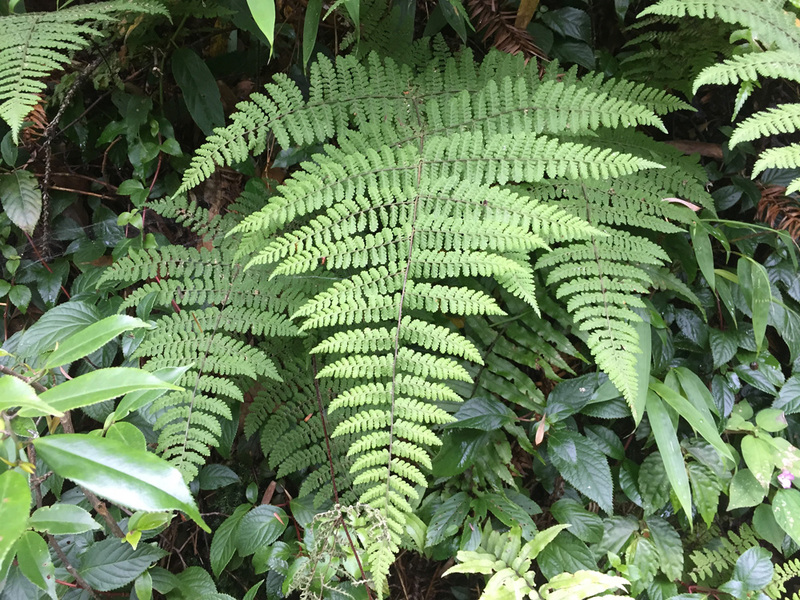 Emei: Cystopteris moupinensis! (And Cystopteridaceae genus three of three). One of our more unusual ways of getting around: on an abandoned monorail track! (Which was a little higher up than it appears in this photo). We’re near the top of Mt. 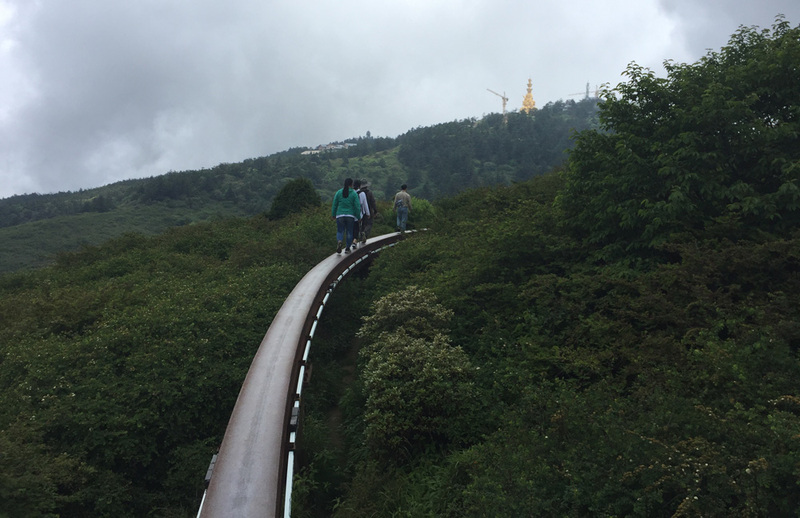 Emei — in the distance you can see the aptly named Golden Summit with its huge Buddha. After this we took a bus to the base of the mountain, and were off to Baoxing. Paulo demonstrating our nightly Baoxing ritual. Note the mug of wine–“Great Wall Red” was our favourite. The very odd Selaginella sanguinolenta. High up on the mountains above Baoxing. 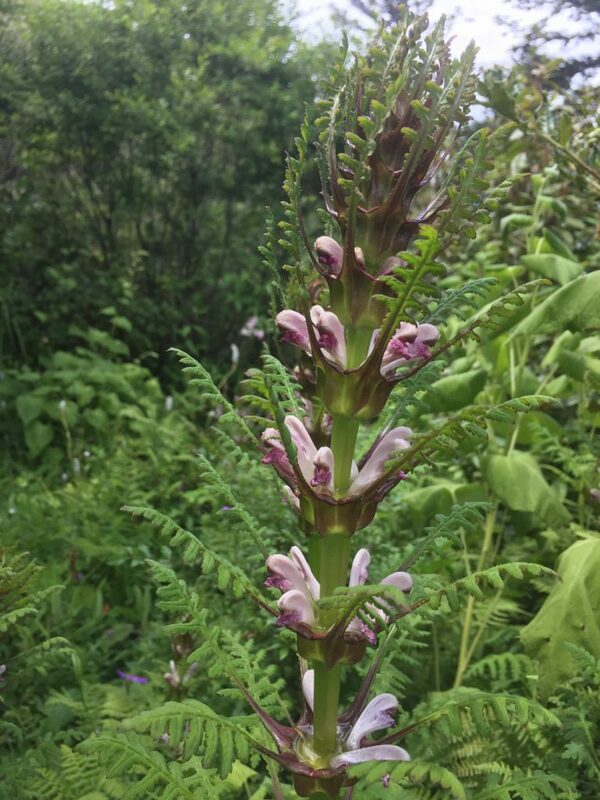 Along the short path that Paulo’s starting were at least seven species of Pedicularis (see below). And those bushes are oaks. One of an alarming number of Pedicularis in the area. 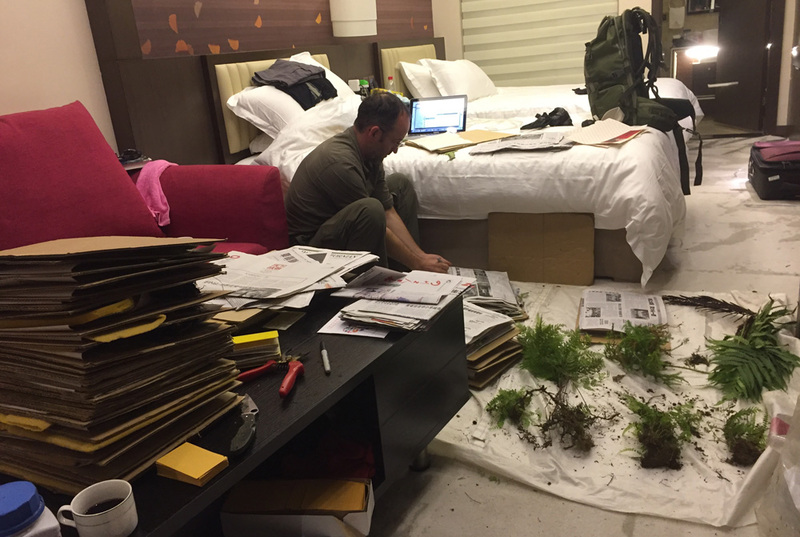 And another Cystopteridaceae… moving from North America to China, I moved from Cystopteris fragilis complex confusion to Cystopteris sudetica complex confusion. What is this?? Hard to believe that it would be C. moupinensis. Maybe C. pellucida? Libing showing true dedication in the cause of vittarioids (or maybe in the cause of Polypodiaceae). The path deteriorated somewhat at this point. Falling rocks? What falling rocks? But there was Aleuritopteris! 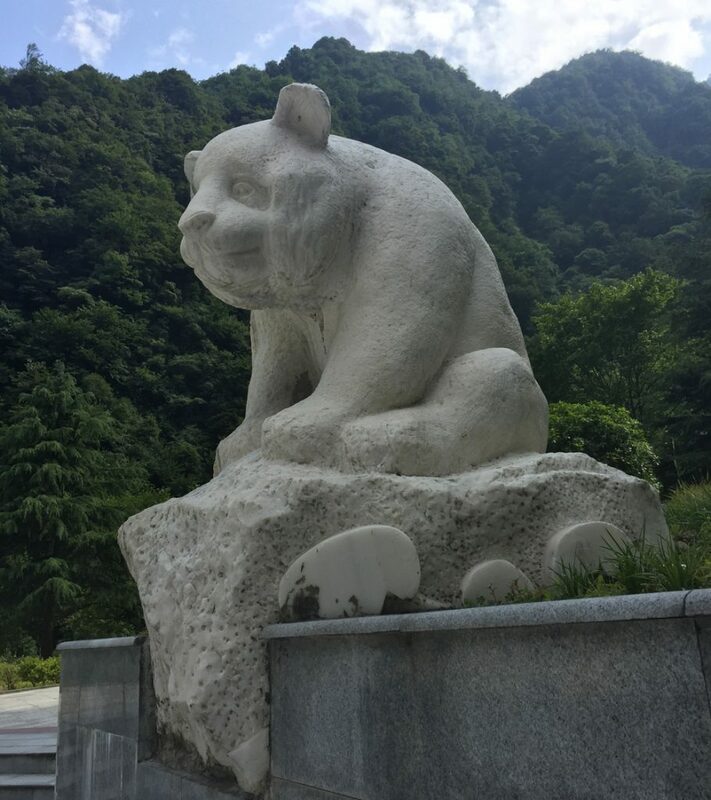 Baoxing is where the type specimen of the panda was collected, and pandas featured prominently in our travels in the area (not the living ones, unfortunately). Libing being seduced to the dark side (Cystopteridaceae) by some very nice Acystopteris. Returning to the vehicles from our final hike. Very sad. 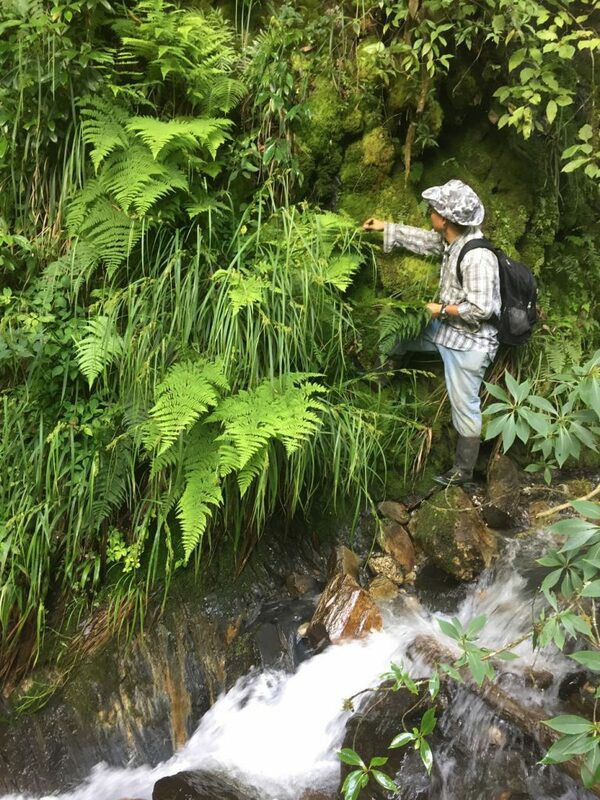 Although we did see all three Cystopteridaceae genera on this one hike! 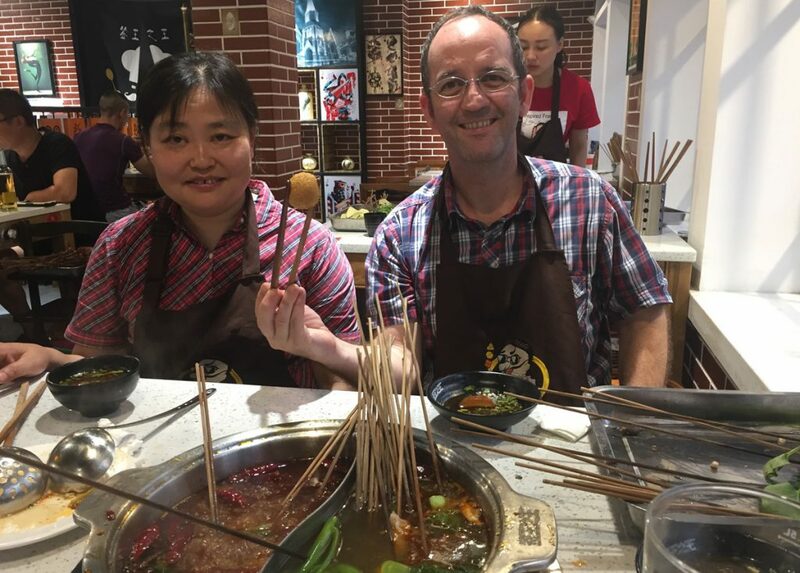 And only fitting to close out with more food… hotpot, delicious, delicious hotpot, back in Chengdu. Thank you everyone, especially Libing and Chun-Xiang, for such a fantastic time! ← Good bye to our summer volunteers!